Anderson University is a great place to gather. We are located on 100 rolling wooded acres on the suburban northeast side of the city of Anderson, Indiana. The Office of Conference and Performance Events at Anderson University is concerned with providing the best for every client who chooses to use the AU grounds and facilities for their event. With experience hosting a wide variety of events including football and band camps, youth and adult conferences, theatrical productions, band performances, weddings, and more, the staff of CPE is committed to serving our constituents with the best AU has to offer. The university occupies 23 main campus buildings, including seven academic buildings, six residence halls, and the 132,000-square-feet Kardatzke Wellness Center. Use of facilities on the AU campus include Reardon Auditorium, Byrum Hall, the two large recital halls in our Fine Arts buildings, classrooms, dormitories (for housing), Olt Student Center (with dining hall and Raven’s Haven), access to our athletic fields and tennis courts, and use of the Kardatzke Wellness Center. 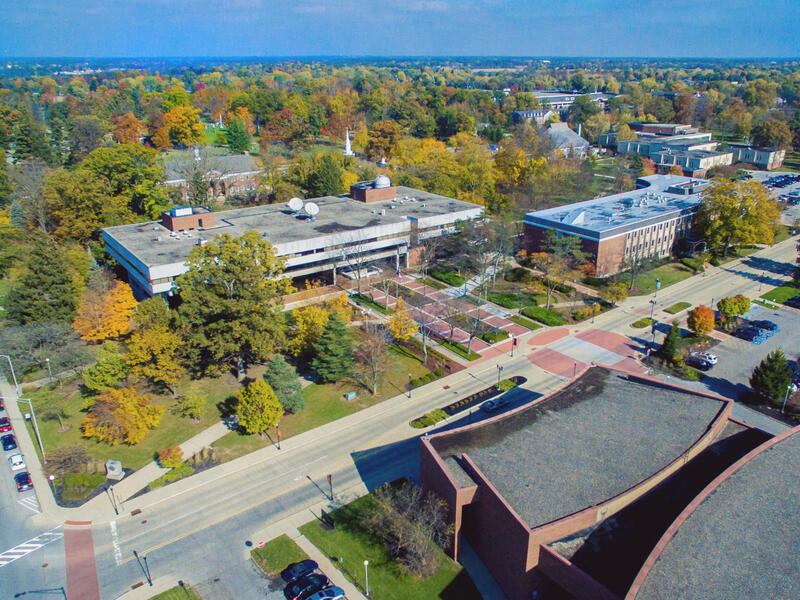 At Anderson University, visitors will find an expansive, well-groomed campus, beautiful architecture, a warm and friendly atmosphere and just the right mixture of available facilities to host any event. Affiliated with the Church of God (Anderson, Indiana), AU is an institution committed to blending faith and higher education and maintains a reputation as one of the leading, Christian liberal arts colleges in the country. The staff of the Office of Conference and Performance Events commits to serving those visiting our campus to the highest level of our ability. We will strive to maintain an attitude of servanthood in keeping with the mission of Anderson University. In providing performance events, our purpose is to enhance the academic, cultural, and spiritual aspects of life for our campus and community. We strive to provide services to our conferees and patrons that serve as a witness for our belief in the Lord. We hope all who visit Anderson University will accomplish their goals and depart with renewed spirits. We work with a sense of cooperation and camaraderie alongside our colleague departments on campus and with a sense of mutual respect for the good of each of our programs.